Gibbs Smith Publishers, 9781423600060, 32pp. This frolicking adventure teaches children about prepositions as they follow a very focused fox in his chase for a mischievous mouse. 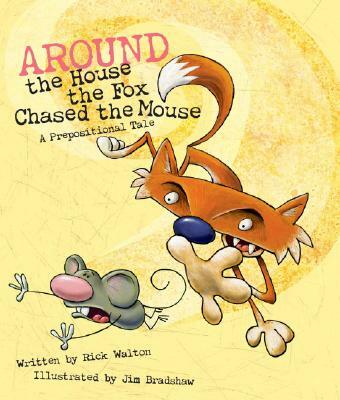 Kids will love learning what a preposition is and how it can connect words together when they see the fox chase the mouse around the house, under the fence, into the barn, out the window, and even through the chicken coop. Using additional learning activities at the end of the book, children can then apply what they've learned. Rick Walton is the author of more than sixty children's books. Rick's Language Arts series has sold more than 150,000 copies. His books have been featured on the IRA Children's Choice list, Reading Rainbow, and CBS This Morning.